Mr. 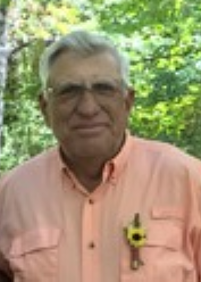 Ransom L. Jenerette, age 67 husband of Mrs. Debbie Jenerette passed away April 15, 2019 with his loving family by his side. Mr. Jenerette was born November 18, 1951 a son of the late William Pickens and Isla Collins Jenerette. In addition to his parents, he was predeceased by one son in law; R.C. Ratley, one brother; Marvin Jenerette, and a brother in law; Windell Johnson. Mr. Jenerette retired from HTC after 35 years of service. He enjoyed riding motorcycles, watching NASCAR, fishing, and farming. In addition to his wife of the home, Mr. Jenerette is survived by one son; Ken Elliott (Robin), two daughters; Tammy Elliott, Crystal Ratley, one brother; Harold Jenerette (Shirley), three sisters; Martha Brinson (Ray), Linda Johnson, Miriam Jenerette, three brother in laws; Rusty Lewis (Sarah), Dusty Lewis (Faye), Terry Lewis (Christina), six grandchildren; Tyler Stalvey, Fallon Rogers, Taylor Mitcheltree, Noah Johnson, Kennan Elliott, and Brinley Elliott. Funeral services will be held 3:00 PM Thursday April 18, 2019 at Berea Baptist Church with the Rev. Johnny Jenerette and Harold Anderson officiating. Visitation will be held prior to the service from 2:00-2:45 PM in the church fellowship hall. Burial will follow at Rehobeth United Methodist Church Cemetery.